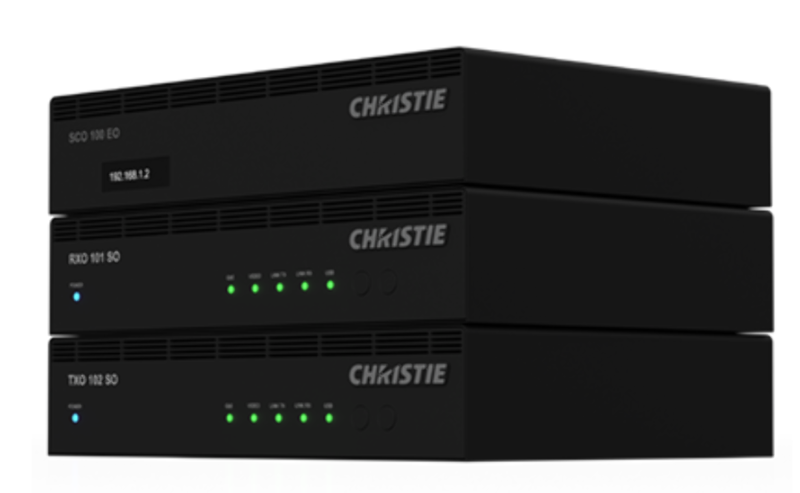 Christie terra represents a new av solution that enables the transmission, processing and control of audiovisual content, including the 4k @ 60hz 4: 4: 4 format over 10g ethernet networks. Built on standardized sdvoe technology, christie terra delivers unprecedented performance capabilities including uncompressed, zero latency, and video-free content delivery over 10g networks that are easily available and affordable. With a wide range of transmitters, receivers and control processors, the christie terra solution includes everything you need to design and integrate complete sdvoe systems for applications that demand maximum performance and quality. Based on standard 10g ethernet components, the terra solution enables the design of simple, flexible and highly scalable systems architectures that deliver improved performance and user experience over current approaches at a dramatically lower total cost of ownership.